Thank you for your interest in The Hair Simulation Company in Atlanta, Georgia. Please complete the Client History Form or Email Us with any questions you may have. 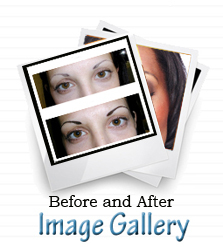 Permanent Makeup of Atlanta is located in Paces Ferry Place shopping Center . Take 75 south to exit 255. Turn left at West Paces Ferry and travel about 3-5 miles. When you come to Paces Ferry Place take a left. This is 3 lights past the Governors' Mansion. There is a Whole Foods at the corner. Turn right at Paces Ferry Place Square. We are located in the shopping center. take exit 255. Turn left at the light, and turn right at the OK CAFE on West Paces Ferry. Go 3-5 miles and the third light past the Governors' Mansion take a left at Paces Ferry Place. There is a Whole Foods at the corner. Go a few blocks and take a right at 3209 paces Ferry Square and park.